I can’t believe it has taken me this long to visit Dinner. Part of the problem is that obtaining a reservation (on short notice) is tricky, in no part due to the restaurant being listed on the World’s 50 Best Restaurants list. 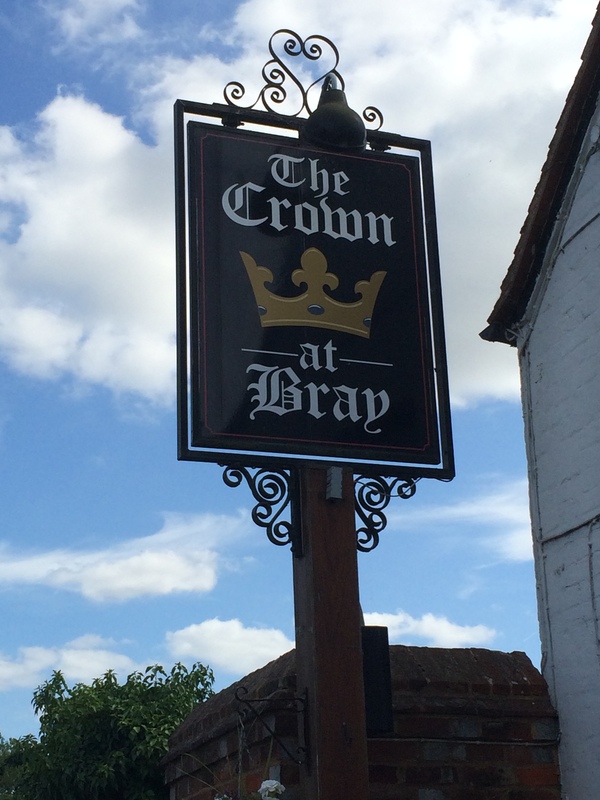 The other reason is that it is easier for me to get to Bray (also known as Heston land) where I have the choice of dining at the Crown, the Hind’s Head or the Fat Duck. If I wanted the whole Heston experience, the Fat Duck was the only option while if I wanted something casual I could just as easily go to the Hind’s Head. Dinner sits somewhere in between casual and fine dining. After all it was opened with the concept of what it would be like if Heston would open a Bistro. You have formal, fine-dining service but at the same time you are still able to order a ‘simple’ plate of steak and chips. However, after many years of ‘not bothering’, we decided to pop in one Sunday afternoon for a lazy lunch. The restaurant is located at the rear of the Mandarin Oriental – a smart choice given its view of Hyde Park. This space was previously occupied by Foliage although the room looks a lot more spacious than what I remember. The kitchen is visible in full view from the dining room as is the rotisserie, with whole pineapples roasting away. The tables are bare with no table-cloth in sight. The menu here is inspired by historical British dishes dating as far back as 1390, when the first cookbook was written in English (The Forme of Cury). Heston has drawn inspiration from many of these old recipes and updated them for the modern palate, although on many occasions, the associations with the original dish is very loose at best. On the back of the menu, there is a list of the cookbook the original recipe first appeared in. You can read a lot more about many of the dishes featured here in the ‘Historic Heston’ book. Despite the name of the restaurant, it is Heston’s right hand man Ashley Palmer-Watts who does the day-to-day cooking. For my fiancee’s birthday, I had booked a table for lunch at the Fat Duck. She has been clamouring to go to Heston’s flagship restaurant for a very long time. I have visited the Fat Duck previously and given the nature of the restaurant, where the menu changes little, there was very little incentive to revisit. However, back in 2015, the Fat Duck closed for a 6 months for renovation. The whole team relocated to Melbourne during this time but when the time was up, they returned home to a new dining room, new kitchen and most importantly a brand new menu. Ok, perhaps not all the menu is new – there are still a few old standbys – but by and large there were enough new dishes to perk my interest to return. When it was announced that Heston would be taking over the Crown, it was met with some degree of resistance by the local community as this was he last remaining standalone boozer in the village. The fear was that the boozer would be converted to yet another gastropub serving food which would be unrecognisable to the locals. Furthermore, Heston already owns a gastropub some 50 yards down the road (the Hind’s Head) serving his modern reinterpretation of classic English dishes. Thankfully, the menu keeps it simple with easily recognised classics such as Fish and Chips, Burgers, Sticky Toffee Pudding and Eton Mess on the menu. Where at the Hind’s Head, the signature Heston tricks such as dried ice is in full flow, the Crown focuses on executing the classics well. For those who have seen his TV series “In Search of Perfection” you will appreciate the amount of work put into these dishes.